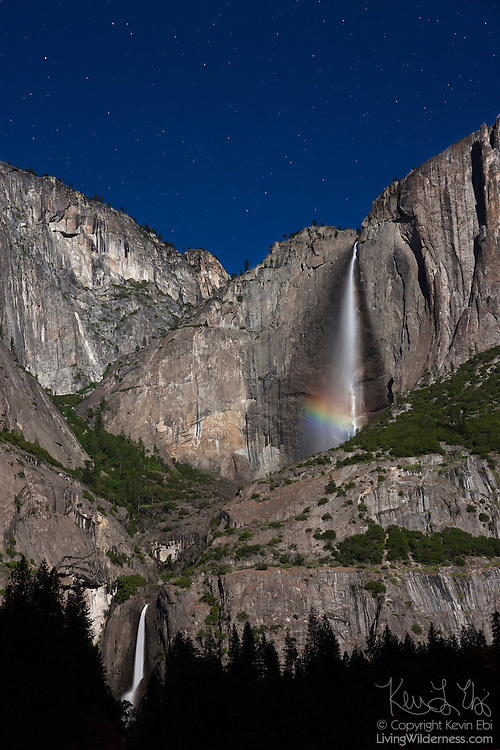 A bright moonbow forms at the base of Upper Yosemite Fall during a full moon in Yosemite National Park, California. Yosemite Falls, height of 2,425 feet (739 meters), is the highest measured waterfall in North America and the fifth-highest in the world. During the late spring when the water flow is at its peak, the light of the full moon and spray of the waterfall result in nighttime rainbows.